Get fit, stay safe, stay seen. Treat your training buddy to an attractive new Active Mesh Harness with a dash of sporty neon to compliment your keep fit gear. But also great for regular walkies. 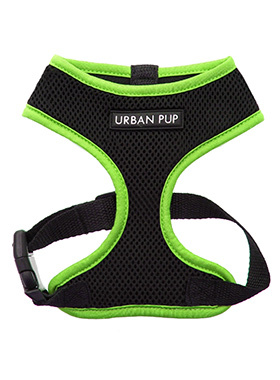 High visibility Active Mesh Neon Harnesses provide the ultimate in comfort and safety, featuring a breathable mesh for maximum air circulation that helps prevent your dog overheating, closely fitted with a secure quick release adjustable clip. The lead clips onto the D-Ring between the shoulder blades which distributes pressure evenly and comfortably.